Some thought it audacious. Our team knew it was just a matter of time. 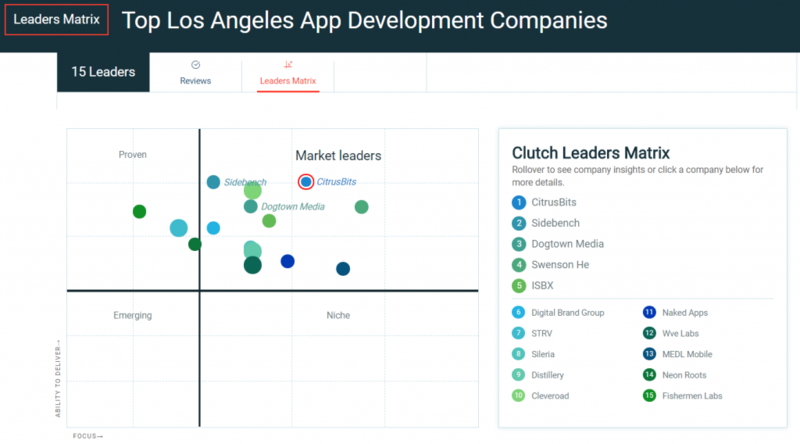 CitrusBits is now the #1 ranked mobile app development company in LA, according to Clutch. Clutch rankings are based on verified client reviews as well as Clutch analyst assessments of “clients & experience” and “market presence.” Clutch also provides sponsored rankings, but these are separate from the organically-derived rankings reflected in the Leaders Matrix view (shown below). With more than 100 companies listed in this category, how did we defy the odds and achieve this distinction? 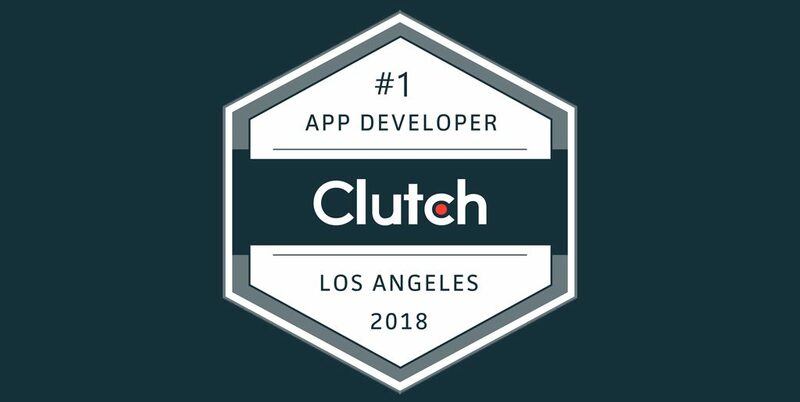 The short answer — great customers and an awesome, dedicated team. 1. Be selective in your clientele. By doing so, you’ll maximize client satisfaction and stay away from projects that can’t possibly end well for either party. 2. Get familiar with your end users. We’ve always taken extra steps to understand our end users through primary research, ensuring optimal engagement. 3. Search for talent throughout the world. You’ll find top technical talent scarce if you limit yourself to just one or a few cities. 5. Be patient. Results take time to appear. Keep at it. CitrusBits is available now for new mobile app projects. We are also now paying referral bonuses for direct intros to new clients. If you have a project you’d like to discuss, or you’d like to refer a potential new client to us, please contact us today.